Do you wake yourself or your partner up by snoring too loudly at night? Do you suffer from poor circulation issues? Maybe you are recovering from surgery or another medical procedure or experience chronic pain? Do you and your partner have different sleep preferences? An adjustable bed might be your solution whether you suffer from one or all these common sleep woes. People are catching on, as sales have increased 24% over the past year. When considering an adjustable bed for the first time, many people think of the loud, uncomfortable beds found in hospitals. Today’s adjustable beds are modern and sleek and come in different fabrics and colors. They do not stick out like a sore thumb and their motors are usually pretty quiet. Determining the best adjustable bed for you is going to depend on many factors. These include your specific sleep preferences and whether you are trying to address any of the issues above. So, what is the best adjustable bed on the market? Keep reading for our guide to buying an adjustable bed that best meets your needs. Most of us would love to have an adjustable bed but don’t know how to begin looking for one. With so many manufacturers and options, how do you know you’re getting a quality product? Here are a few things to consider before you begin your search. Are you satisfied with your quality of sleep? If you don’t immediately answer yes, it might be time to evaluate your sleeping situation. When was the last time you woke up feeling rested and awake? If it has been awhile, the issue is probably the bed you’re sleeping on. Do you spend your evenings in bed reading, watching tv, writing or playing video games? You would be more comfortable if you could adjust your lounging position. This would support the right areas of your body. An adjustable bed can help you address all these issues and more. If you answered “yes” to any of the above, you should invest in an adjustable bed frame to improve your quality of sleep. Adjustable beds are sold as frames and the mattresses are sold separately. You might be able to save money by using your current mattress on top of a new frame. You can test your mattress to see if it is compatible with an adjustable base. Grab a friend and attempt to fold the foot of the mattress over to the head. If you can easily fold the mattress in half, chances are you can use it with an adjustable base. If your mattress totally resists folding, it is not likely to work. If your mattress is not compatible, you will have to factor the expense of a new mattress into your overall budget. It is important to ask yourself if you will need a split adjustable base or not. Split adjustable bases are best for couples because they allow each sleeper to control their side of the bed. Sneaky spouses usually enjoy the ability to adjust their partner’s sleep position to reduce snoring. But some couples think that the split between beds is uncomfortable. It’s possible to cuddle on a split adjustable base, but make sure the frame you choose moves well in the foot region. Most split adjustable bases operate with two twin-XL mattresses, which is the size of a king bed. The offer more sleep positions than you can count. While this is an impressive feature, split bases are often the most expensive option. Speaking of expensive, you can spend a fortune on an adjustable bed and accessories. It’s easy to get excited and go overboard, so you should determine a firm budget before you go shopping the first time. The base price of adjustable beds is higher than that of a traditional bed frame. Yet, it is an investment, as most adjustable beds have extended warranties and usually last at least 10-15 years. As you shop, always read reviews and look into manufacturer warranties. Read the fine print and understand what is covered. It is also a good idea to ask if there are any charges associated with service calls. Keep reading and we will look at high-end beds but also explore budget-friendly options. Depending on the model, it can be difficult and time-consuming to set up an adjustable bed on your own. An adjustable frame is also very heavy. You should plan on having some assistance if the company does not offer set up upon delivery. Or, decide in the beginning that you’re looking for a lighter model which requires less assembly. There are some companies that offer adjustable beds that simply fold out, or can be set into an existing bed frame. Next, we will explore a couple of options that include these features and more. Don’t forget to address safety as you shop as well. This is especially true if you have small children or pets living in your home. Adjustable bed frames can be very heavy and it is possible to crush or pinch yourself while assembling or even operating them. If you are concerned about assembling a bed on your own, you should stick to the lighter bed frame options. Some adjustable bed models offer features such as pinch protection or gravity fall to be sure you and any children are safe as the bed raises and lowers. These functions usually perform even if the power goes out. If you have pets, adjustable beds may pose safety risks to them, especially if your animals have a tendency to go under your current bed. What is the Best Adjustable Bed? There is an unlimited number of combinations when it comes to adjustable bed features. Standard adjustable beds give you the option of inclining and declining the head and foot of the bed. Some models include presets (such as zero-gravity or TV mode), vibrating massage, USB imports, lighting, and silent alarms. Most manufacturers even offer consumers the option of using a remote or wireless app to control their bed. Adjustable beds can cost anywhere from $1000-3000. It’s not about discovering the overall perfect bed, but the perfect bed for you. This is a true investment, so let us help you do the research before you decide on the ideal adjustable bed for you. Feeling luxurious? Check out Leggett & Platt’s classic S-Cape adjustable bed. Leggett & Platt is a respected name in the adjustable bed industry. Their models come with innovative options and enhanced safety features and start at around $1000. These features include Wallhugger engineering, dual massage, two programmable positions, and safety options, such as an emergency power-down feature and a press-and-hold safety flat feature. Even the upholstery is elegant. The S-Cape is covered in gray patterned fabric, which makes it the perfect addition to any bedroom decor. The remote for the S-Cape is unique, as it stands up on your bedside table, which makes it easier to find in the middle of the night. Yaasa’s Adjustable Bed acts as a movable frame for your mattress. The strong and sturdy bed features a metal and wood construction and stands 15″ in height. There are four motors underneath, situated in a way that gives you plenty of room to store things underneath. Yaasa is one of the more elegantly designed adjustable beds. The wood finish and aluminum are perfect for a mid-century modern room design. One unique aspect of the Yaasa adjustable bed is that you don’t actually have to attach the legs to use it. If you have an existing bed frame that you love, you can just set your new bed inside of it. While it looks great, Yassa’s bed is higher-end, starting out at $1499 for a Twin XL. The Nectar Adjustable Bed Frame is a mid-range option that offers both wireless functionality and USB ports. The split-king frame is $1,298 and can be paid upfront or in installments. The split-king consists of two twin-XL mattresses, which allows both sleepers to individually control their bed positions. This means no more fighting over whether it’s time to lower the head of the bed and go to sleep. 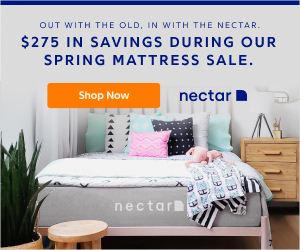 Nectar boasts to have the “fastest set up” in the industry. You take the frame out of the box, attach the motor to the frame, connect it to power, screw in the legs, and flip it over. The built-in USB ports make it easy for you to charge your phone or other devices without having to get out of bed. To make sure you love it, Nextar offers a 50 night home trail, a 3-year warranty, and free shipping and returns. They’ll even remove your old bed frame from your home when delivering the new one. With a wireless remote, USB charging ports, and massage function, the Classic Brands Adjustable Comfort Base is a great value for those with a lower budget. You can find these beds for around $500 from multiple retailers. Enjoy the lifestyle and health benefits of an adjustable bed without breaking the bank, while still getting a whisper quiet motor system, programmable settings and a zero-gravity option. This bed offers adjustable legs for three different height options. It is ideal for memory foam, latex, and air mattresses, so you may already have a compatible mattress. Plus, it is easy to assemble and ships directly to your door. Selling for less than $200, the Pragma Bed Simple Adjust Head and Foot Adjustable Foundation is an excellent choice for buyers on a budget. This bed frame is a manually adjustable foundation. It’s an appropriate choice for someone who isn’t tech savvy and doesn’t care about many of the higher-end features we have discussed so far. The simple design means the assembly process is super easy. The frame can be folded up for easy storage, so it also makes a good addition for your guest room. The heavy-duty steel construction sets distributed weight limits between 1200-2400 pounds. The Reverie Signature 5D Adjustable Foundation costs $1,600 for a split king. It offers interesting features such as full head and foot articulation, a wireless, backlit remote, a LED night light, and a “high definition” massage function. This foundation is all about convenience. It includes a whisper-quiet lift system so you won’t wake your partner and “Wall-Snuggler” technology that allows you to get as close as possible to your nightstand. With an 850lb weight capacity, this foundation includes a safety feature that forces the foundation to stop moving if the weight limit has been reached. Adjustable beds are now so common that they have made their way into the “essential household furniture” category. They are the couches of the bedroom. Adjustable beds can not only make you more comfortable but offer many health benefits as well. With the right bed, you will be on your way to addressing a variety of health issues such as snoring, acid reflux, and chronic pain. So, now that you know what is out there, what is the best adjustable bed? That’s up for you to decide! 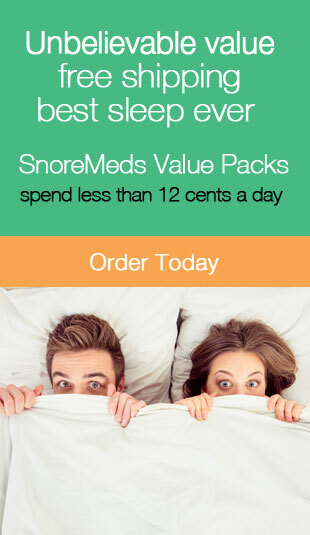 Contact us and let us know what you select and how it’s improving your sleep. If you found this article useful, please share with family and friends to promote healthy sleep for all!